Headquartered in San Diego, California, Peter Kane, Principal of Kane Consulting, focuses exclusively on providing Human Resources services to businesses. 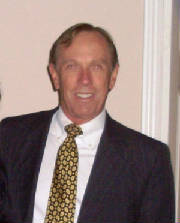 Peter is an HR executive with more than 35 years of experience in all the functional areas of Human Resources. His experience includes companies both large and small, profit and non-profit, public and private. His specialty is helping companies to create a "foundation" for excellent human resources management by establishing HR best practices. This is typically done by helping the management team to create a culture through understanding people's needs in the workplace.